Copyright. 1883, by Wm. A. Pond & Co.
Ein, zwei, drei, oh, keep your head up high. And see these little children in the Turn-Verein Cadets. The Arion Band that sounds so grand. 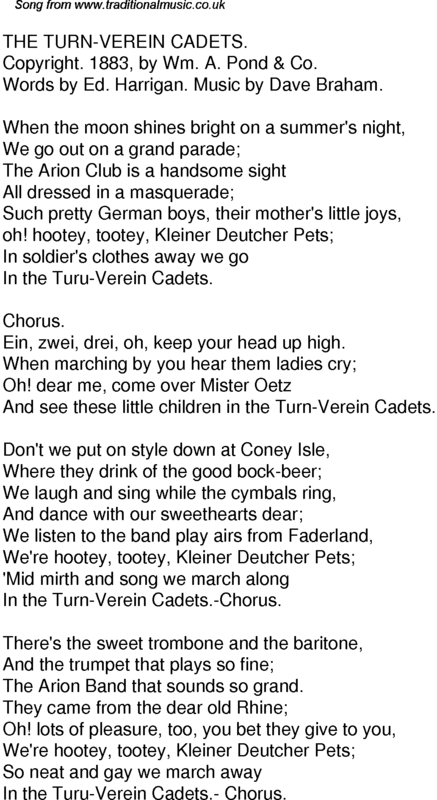 In the Turu-Verein Cadets.- Chorus.